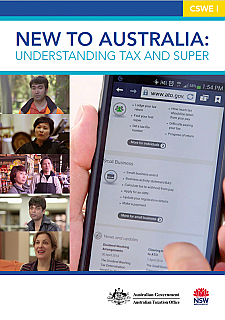 TAFE NSW AMES has partnered with the Australian Tax Office (ATO) to offer free learning/teaching resources with topics that are of great practical interest. This is a dynamic resource at three levels aimed at helping new arrivals get to grips with the Australian tax system. Content is based around high quality video production from the ATO, featuring typical life stories and experiences of tax payers who have arrived in Australia, settled here or stayed for long term study, while learning to engage effectively with the Australian tax system. 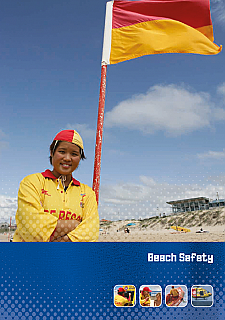 This learning resource was developed through a partnership between the Australian Government Department of Immigration and Citizenship (DIAC) through the Diverse Australia Program, the NSW Adult Migrant English Service (NSW AMES) and Surf Life Saving Australia (SLSA). The activities in the resource are aligned to learning outcomes in the Certificate II in Spoken and Written English (NSW AMES 2007). 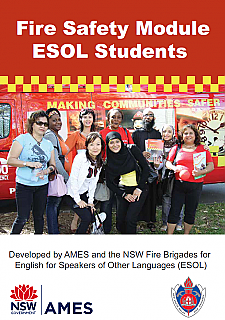 This learning resource was developed through a partnership between the NSW Adult Migrant English Service (NSW AMES) and NSW Fire Brigades. It is designed to integrate fire safety training into English as a second language programs. It should be used in conjunction with the booklet "Fire safety and prevention in the home", published and found on the NSW Fire Brigades website. This learning resource was developed through a partnership between the NSW Adult Migrant English Service (NSW AMES) and NSW Fire Brigades. It is designed to integrate fire safety training into English as a second language programs. It should be used in conjunction with the booklet, Fire safety and prevention in the home, published by NSW Fire Brigades, found at the NSW Fire Brigades website.